Instead of going into one of my usual tirades, I think it’s time to look back on the decade that was. Zelda has been around since the mid 80s, yet no previous decade has come close to giving us what this decade has. There have been 9 Zelda game releases in the last 10 years. To put that in perspective, there are only 5 Zelda titles that were not released in this decade. So for all our complaining, for all our slow “no news” times, and for all this whining about why we don’t have Zelda Wii yet, it’s good to remember that Nintendo has been giving us Zelda love all decade, so be patient young grasshopper and you will greatly rewarded. Still, lets’ take a walk down memory lane as we go through all the Zelda releases this decade. The decade started off with a bang. 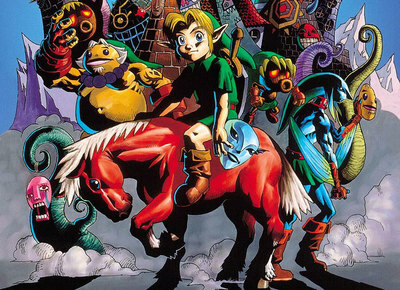 Coming off the release of Ocarina of Time, everyone’s Zelda love was at an all time high. Nintendo wanted to quickly follow that new found fan base with a sequel that would retain the masses. 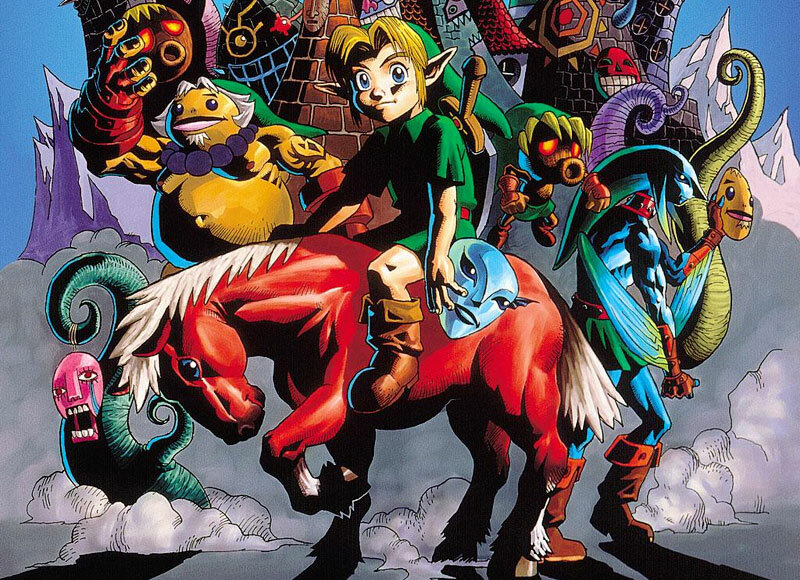 In what may be the finest Zelda title to date, Majora’s Mask came out on October 26th, 2000. The game made some very notable changes that have yet to be seen in any other title, and often times the games story and antagonist are considered some of the best in all of gaming. Its sales never got to the level of Ocarina of Time, but as time has moved on Majora’s Mask has become the unsung fan favorite. Developed by Capcom, the next installment in the series came for the gameboy color in the form of two intertwined games: Oracle of Seasons and Oracle of Ages. Released on March 14th, 2001, the titles stand tall on their own, but the true lure was supposed to be the intertwined ending with Ganondorf. While I still feel most fans have not experienced that ending, it didn’t diminish the experience. The oracle games feature some of the toughest bosses in the entire series, and at one point it feels like a homage to the old school Zelda titles. In either case, these games were solid additions and I think Nintendo was thankful that Capcom didn’t screw up Zelda, unlike a certain other publisher in the past (*cough* Zelda CD-I *cough*). 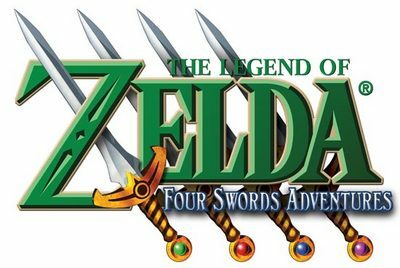 Bundled into a rerelease of one of the series most popular titles to date, Four Swords got a chance to shine when it was released back on June 7th, 2002. I can officially say most people did not have the luxury of playing this game. It was for the Gameboy advance… and required multiple copies and lots of link cables in order to pull off the experience. However, I was one of the lucky ones… and I must say it is still sad, to this day; that most people didn’t get to experience what I feel is a multiplayer masterpiece. It was the series first attempt at multiplayer, but the implementation of how to play just too inconvenient for most people. Still, it offered a lot of replay value, and it still surprises me there hasn’t been a rerelease of the title yet for the Nintendo DS, where the game would be much more accessible. 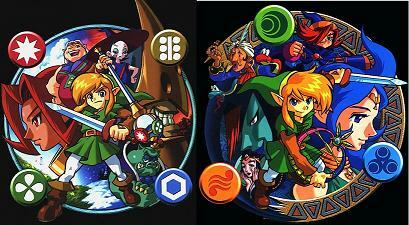 The next game to come out hit shelves on March 24th, 2003 called The Wind Waker. This game holds a special spot in my heart for many reasons, but none more than it was the first time in my life I got my current girlfriend to actually enjoy Zelda. She was so addicted to the game that when she came over, for months, all she wanted to do was play Zelda. She played it so much she actually almost beat the game before I did. Almost. Add in to this fact that the game featured possibly one of the best sound tracks in all of gaming, and finally some real personality to Ganondorf… it’s easy to understand why this ranks high for me. The game will always be remembered for its controversial graphic choice and the wave of fan hate leading up to release, but as time has proven this game continues to look good even by today’s standards, and the graphic choice is timeless. The celshading worked so well they brought it over to future handheld releases. Nintendo surprised fans yet again by releasing Four Swords Adventures on June 7th, 2004. I remember how excited I was when I first cracked it open at my birthday, only to find out I had to run to the store and buy 2 more GCN to GBA cables, and then run to a friend’s house to borrow his GBA since I only had 2 available in the house (my old GBA, and the newer GBA SP). The game was again; fully multiplayer, but this time around you could play the game without friends. 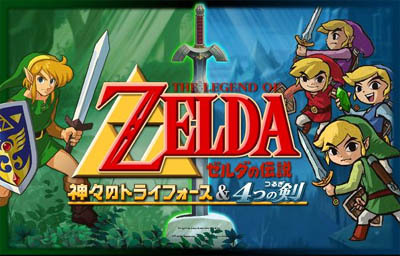 It seems to have the same issue multiplayer wise as its predecessor, Four Swords, did. Still the game play was classic Zelda, and it had an over world level system that mirrors what Mario has been doing for years. The end boss was unique, and the experience was glorious for multiplayer action. Picking up your friends and throwing them down bottomless pits is one of the best experiences I have had in gaming, only recently brought back with Super Mario Bros. Wii. 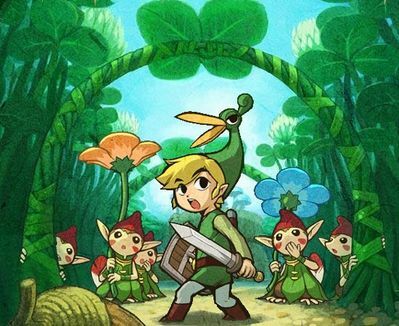 Nintendo let Capcom have another crack at the hand held market, and they delivered the controversial game… The Minish Cap. Released on January 10th, 2005, the games controversy stems from its story. This mostly deals with timeline placement, and a game finally having a legit argument to be placed as first on the timeline over Ocarina of Time. Obviously where you place games is a matter of opinion, but it’s what this game is best known for. While the title was easy, it had a cute charm to it, and the shrinking down to a minish system was unique, fun, and a pretty good game play mechanic. The story wasn’t overly gripping, but the title was all about being accessible and fun, two things it nailed on the head perfectly. While this was the last time we saw Capcom deliver a Zelda title to us, I hope Nintendo turns to them down the line. Twilight Princess is the latest console installment and it hit shelves for the Nintendo Wii on November 19th, 2006. This is a game where it appears Nintendo learned a lesson in marketing. It had been delayed at least two times publicly, the last of which was claimed to be “to make improvements to the title”, which was later discovered to mean “port it to the wii”. Make no mistake about it, the Wii version is a port of the original intended GCN version. 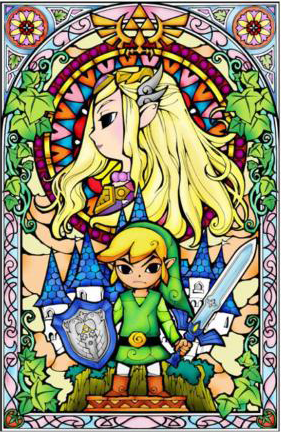 Still, the game itself was a great Zelda title, despite the criticism it seems to get at every turn. Earlier this year I argued that it may be the best Zelda title ever. I don’t personally believe it is, but the point of the piece was mostly to mark that it’s not as bad as people make it out to be. Twilight Princess is a phenomenal title, and I still feel it is in every way better then Ocarina of Time. Midna may be the best new sidekick in gaming this decade, and the story and game play, at least to me, was really gripping. This title carries the Zelda legacy quite well. October 1st, 2007, marked Link’s first true adventure on the Nintendo DS with Phantom Hourglass. 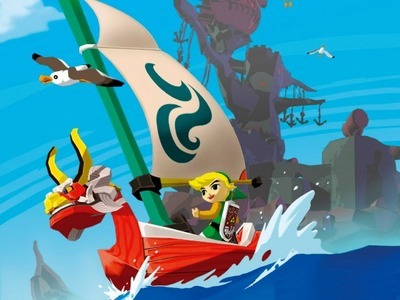 As the game suggests in its opening scene, it is a direct sequel of The Wind Waker. Being the first Zelda to implement touch controls, the game turned out to be a neat adventure. It is still one of the best adventure games available on the DS. The main complaints revolve around the repeating dungeon and the fact the game was overly easy, but it was intended to be that way. 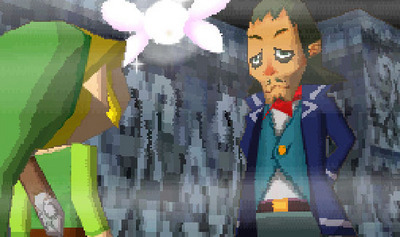 For what Phantom Hourglass is, it’s a pretty good Zelda adventure. While it may not be up there with some of the other titles in the franchise, it certainly is far from a black spot. While the game was not intended for me (a Zelda vet) and more so for my inexperienced friends, I still found it fun and that’s really all that matters. While this isn’t a full Zelda title, Link’s Crossbow Training turned into a fun experience that hit our homes on November 19th, 2007. What starts as a shooting gallery turns into an arcade style shooter that provides entertainment for a day or two. I still pick up the game now and then just when I feel like killing a bunch of skeletons for absolutely no reason. While the idea of the game was to get the gimmicky plastic “light gun” in every home, it actually produced a solid side game for the Zelda series. 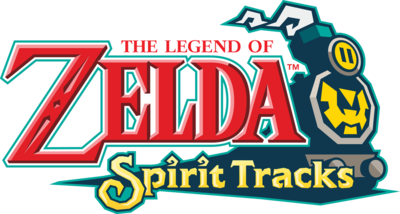 On December 7th, 2009, we got our last Zelda title of the decade in the form of Spirit Tracks. The second adventure on the DS easily improved greatly over the first. The difficulty was ramped up a bit, the dungeons and boss fights were even more entertaining, the story seemed to flow a bit better, the annoyances of the repeat dungeon are gone, and yes there is indeed a train. As a Zelda vet I wasn’t really looking forward to this title until a few weeks before release… and I was happily surprised. Once you get about half way into the game it really picks up. They added a lot of nostalgia moments to keep me highly entertained, while introducing new and unique puzzles and items that created some of the best boss fights I have ever experienced in Zelda. Not only that, but Zelda herself actually matters, and does stuff in this title, something that we never experienced before. While the game isn’t revolutionary, it was a good title to round out the decade that was, truly, The Decade of Zelda. As you can see, what we got this decade was astounding. For all the complaints over the delay of Twilight Princess or the length at which it is taking to make Zelda Wii, Nintendo has not been ignoring us. In fact, with only one year without any sort of Zelda release (2008), I feel we may have actually gotten spoiled. Where other franchises, such as Resident Evil, you have to wait 2 to 3 years between releases, we got something new almost every year. It’s impressive, and while I am not opposed to the trend continuing, I think giving us a bit of time between releases will make us appreciate the games that much more. In any case, this last decade has been chalk full of love, but it is time we move on. The next decade is sure to bring us much more, and who knows? Maybe next decade will be even better than this one.